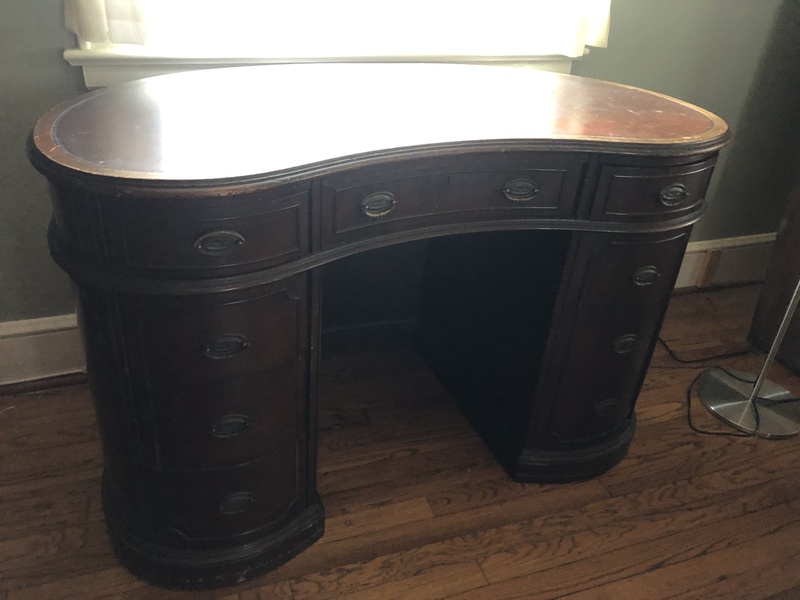 Solid wood desk with curved top and 9 drawers. 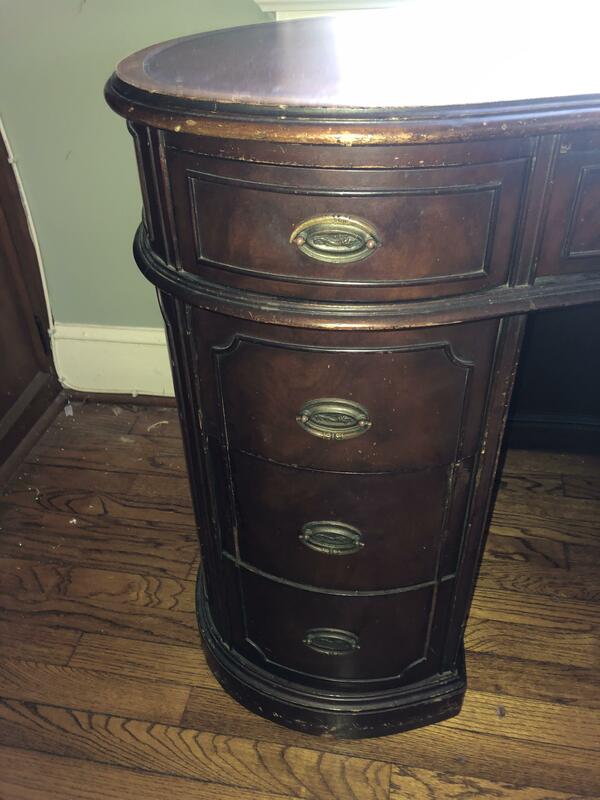 Original finish and hardware. 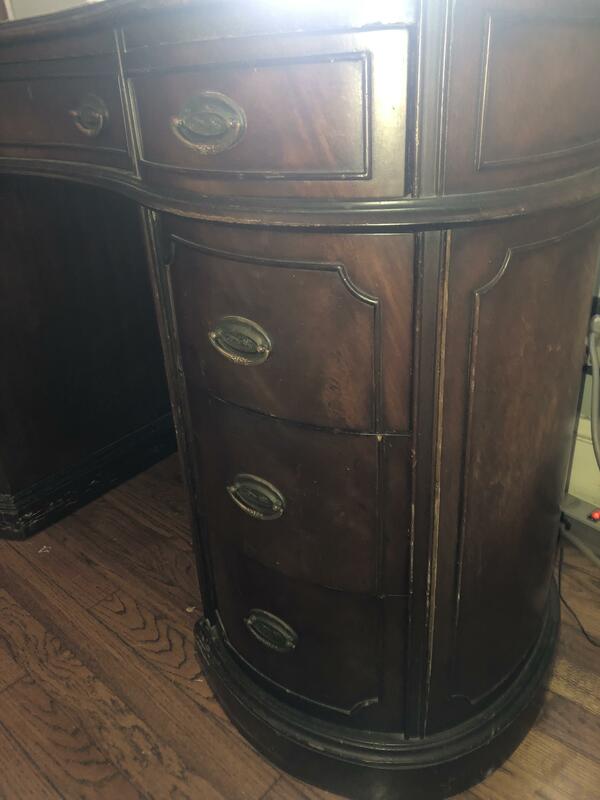 Leather desktop. 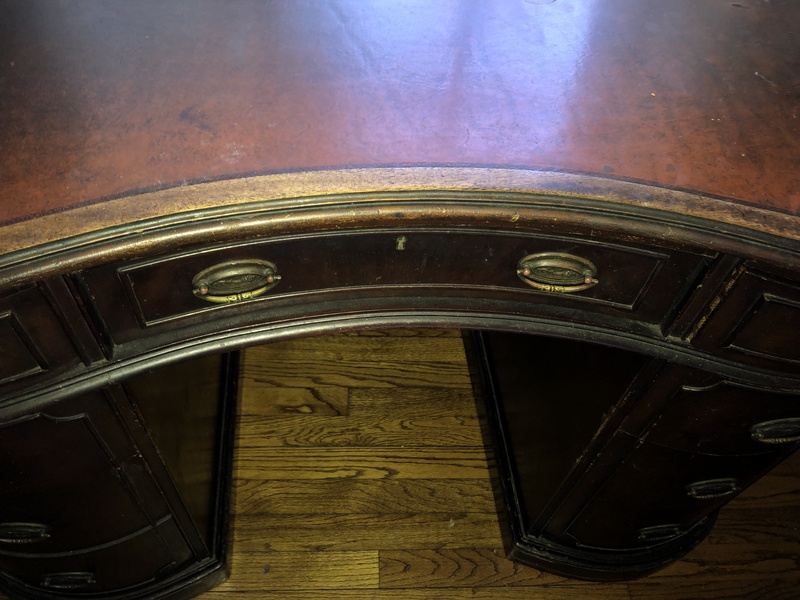 some wear on top. 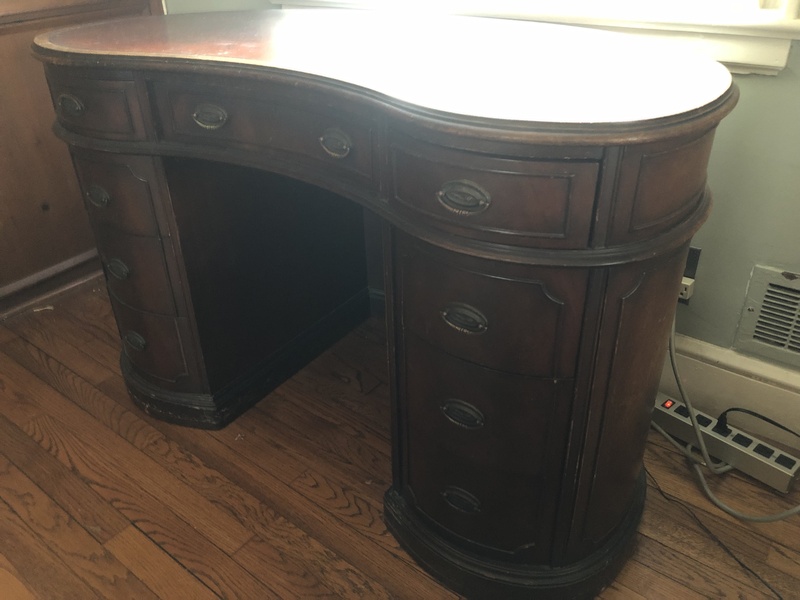 31"H x 47"W x 25"D.
desk was purchased by family member in either the 1930s or 1940s. One owner.